PHOTO COURTESY SONY PICTURES CLASSICS Opera legend Maria Callas from the documentary "Maria by Callas." 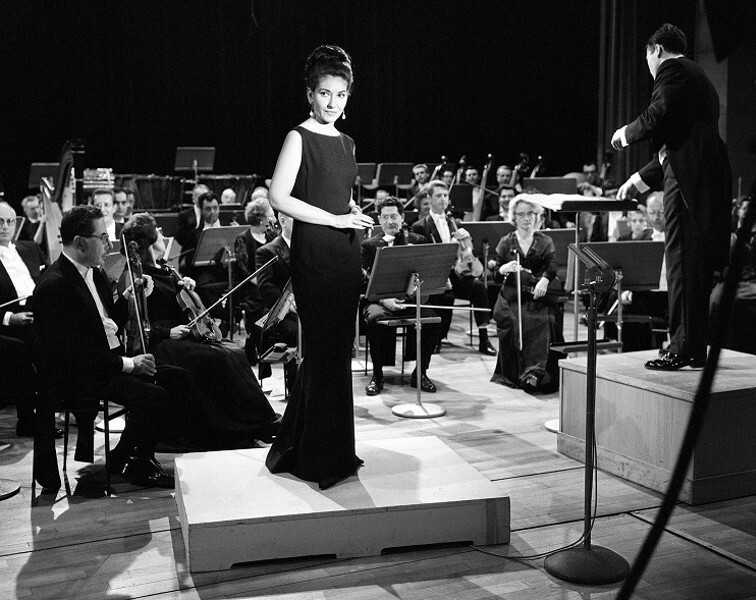 Shining a spotlight on the late Maria Callas, the new documentary "Maria by Callas" tells the renowned opera star's story almost entirely through her own words, curating archival newsreel footage, interviews, unpublished personal letters to friends, diaries, and memoirs into an intimate account of the diva's life and career. With his first feature film, director Tom Volf brings a clear love for his subject (having already written three books on Callas), bringing to life the Greek-American soprano considered by many to be one of the great opera singers of the 20th century. What's most surprising is how little agency Volf's film claims Callas had over her own path. What he offers is a sympathetic portrait of a woman pressured at a young age by her mother -- and then later her husband -- to become opera superstar instead of a wife and mother, roles she states that she'd have chosen for herself if she'd had the choice. "Destiny is destiny, and there is no way out," she resignedly says during one television interview. Volf also covers the controversies of her life and her "tempestuous" reputation, and there's also considerable time spent on her relationship with shipping tycoon Aristotle Onassis, with whom she had a lengthy love affair until he met Jacqueline Kennedy. The 60's-era fashions are alone a reason to watch, but for an opera novice like me, a bit more context to Callas' career might have been helpful in filling in some details about the world of opera and her place within it. But most crucially, Volf devotes long stretches of his film to showing several of her performances in their entirety. That footage has been restored and in some cases colorized to match existing photos from the time, providing just a hint of what it must have felt like to see the legend sing live. Even for those who don't already count themselves amongst the diva's fans, there's no denying that the most powerful and convincing way to pay tribute to the opera legend is to allow her music speak for itself. Movie Previews Film Film preview documentary "Maria by Callas"